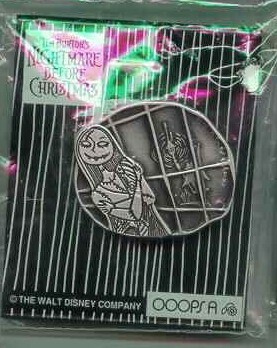 This pin Sally at the Window This pin is depicted on its original card. The back of the pin is like a jewelry pin. The pin is approximately 1.55 inches tall. This pin is depicted on its original card. The back of the pin is like a jewelry pin. The pin is approximately 1.25 inches tall.